Below, egg farmers John is sharing all the benefits of buying farm fresh eggs like the ones they sell at their family-owned farm, Alternative Eggs. Read on for quick insider tips and legitimate advice on utilizing some of the freshest eggs in the country. There are three basic benefits of sourcing farm eggs from your area’s local producer. Farm eggs are both fresher and healthier than commodity eggs, and farm eggs are humane. 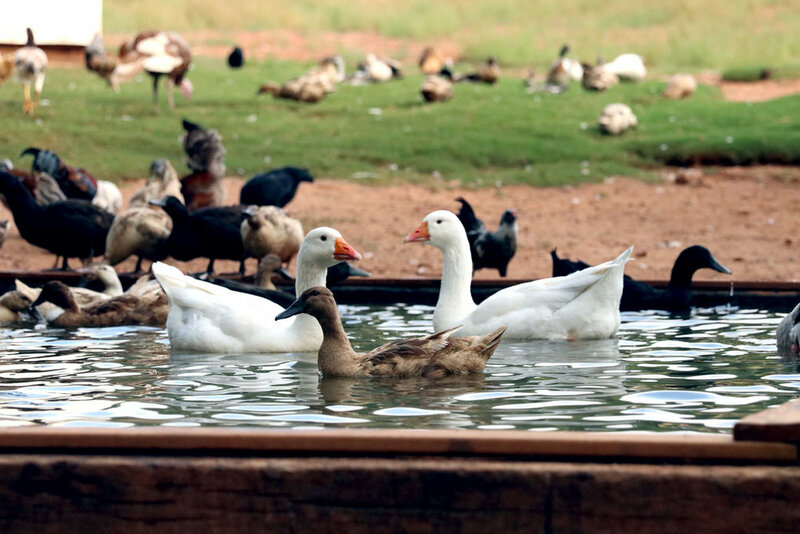 At small and family owned egg farms like Alternative Eggs, flocks have room to roam on pastures that are perfect for foraging for bugs and seeds. This contributes to extra happy birds and a farm fresh egg you can crack in a hot pan and “the white stands up in the pan,” John says. Now that’s fresh. And just how healthy are pasture-raised bird eggs? The eggs that are laid by pasture-raised hens have less fat and cholesterol, and more healthy vitamins because of the birds’ nutrient-rich and natural diets. Duck eggs, specifically, are lauded over for their health benefits, toting an all-together higher nutritional value than chicken eggs, farm-fresh or otherwise. Chicken eggs are convenient and accessible -they’re what consumers are used to seeing on grocery store shelves. But other eggs, like duck eggs and quail eggs, are desirable to professional chefs for their delicacy, and the different advantages farm eggs possess. John notes that people that really have that sophisticated palate can tell the difference between a commodity white egg and a farm fresh egg delivered straight from the fields. Interested to learn more about your local and family-owned farmers and their products? Sign up for the Farm’d email newsletter below and we’ll be sure to keep you up to date on the latest and greatest in your local food community.